MONTREAL, QUEBEC - (August 12, 2015) - Urbanimmersive Technologies Inc. (the "Company" or "Urbanimmersive") (TSX VENTURE: UI.V) is pleased to announce today the signing of a Memorandum of Understanding with Centris® for the establishment of a strategic partnership agreement to commercialize locally and internationally Urbanimmersive’s real estate visual content providers marketplace. The parties received the approval of their respective Boards of Directors to complete a final agreement based on the terms of the Memorandum within the next weeks. 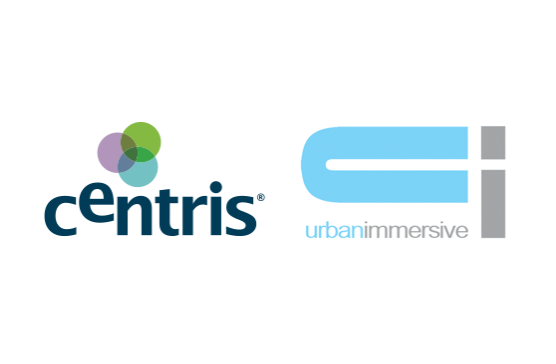 As part of the agreement that will have an initial term of five years, Urbanimmersive will provide its online marketplace platform and Centris® will take over its commercialization. The agreement also stipulates that a representative of Centris®, to be selected jointly by the two parties, and under the approval of the concerned authorities, will join the Board of Directors of Urbanimmersive. The creation of this partnership stems from the objective of Centris® to offer its network a solution simplifying and enhancing the use of professional visual content providers that meet high quality standards. The visual content marketplace developed by Urbanimmersive meets these objectives. The solution will allow real estate brokers to find, compare and book online real estate visual content providers offering photograph services, videos, virtual tours, immersive visits, 3D tours, aerial photographs and other digital media. The platform is open to freelancers as well as established photographer agencies in order to provide a greater diversity of service offerings to real estate brokers. "Visual content is an important component of the real estate marketing. The marketplace will also increase the productivity of real estate brokers and visual content providers”, added Éric Charbonneau, General Manager of Centris®. "For Urbanimmersive, this partnership is strategic. The expertise of Centris®, the strength of its network and its willingness to collaborate in the expansion of the solution outside of Quebec will be a growth driver for the marketplace adoption” said Ghislain Lemire, CEO of Urbanimmersive. Centris® is a division of the Greater Montreal Real Estate Board exclusively offering technology resources to 12 real estate boards of Quebec and their more than 13,000 real estate brokers. Centris.ca is the website portal of the Quebec real estate industry for consumers, where all properties for sale by real estate brokers in Quebec are grouped at the same address. Based in Laval, Quebec, Canada, Urbanimmersive is a digital media company dedicated to the online real estate market. The Company provides marketing content production services and innovative technology solutions specifically designed to increase productivity and business revenues of its customers. The Company's customers are primarily home builders, promoters, real estate brokers, brokerage agencies and real estate portal operators.